Finally the wait is over for iPhone 4S, iPad 2 and iOS A5 chipset Smartphone owners. 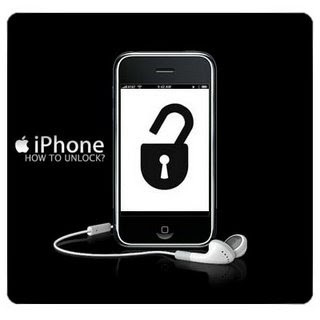 Greenpoison Absinthe has just released the untethered Jailbreak for iPhone 4S and iPad 2 on iOS 5.0.1 and iOS 5.0. Now iOS 5 owners have freedom to jailbreak their devices if they are using Windows and Mac Operating Systems. Officially Greenpois0n Absinthe is now available for Windows and Mac users and it will be available for Linux in next few days. According to iJailbreak untethered Jailbreak v.0.1.2.1 tool is assembled by a "dream team" of iOS hacker’s familiar names including Pod2G, P0sixNinja, MuscleNerd, Planetbeing, and Cydia's saurik. Untethered Jailbreak from Greenpois0n provides features to jailbreak any custom tweaks and tools and can survive a reboot of the phone, whereas tethered solutions require the phone to be reconnected to a computer running the jailbreak tool after each reboot. iPhone 4S and iPad 2 owners running iOS 5.0 or either 4S version of 5.0.1 can enjoy the freedom of Jailbreak on their devices. How to Jailbreak iOS 5.0.0 or 5.0.1 On Your iPhone 4S Or iPad 2 Untethered With Greenpois0n Absinthe? Download the tool package provided above and than follow the following simple steps to jailbreak iPhone 4S and iPad 2 running iOS 5.0.0 or 5.0.1. Step 1: Connect your iPhone 4S or iPad 2 with your PC via USB, and open iTunes then Restore to iOS 5.0.1. Step 2: Download Greenpois0n Absinthe, then unzip and run the file. Step 5: Once completed, you should see an Absinthe icon on the Home screen. Tap the Absinthe icon, it will open GreenPois0n site, and will then reboot your device. Once it loads again, the Cydia icon will have replaced the Absinthe icon. Non enjoy your iPhone 4S / iPad 2 5.0.1 untethered jailbreak.